Does Page Turning for Scan support transform images before conversion? Q: I expect to scan a paper book into page flip e-book with Page Turning for Scan, also I wanna transform some images in the book before conversion. I wonder whether Page Turning for Scan supports image modification function. A: Yes, Page Turning for Scan allows user to edit scanned image files with built-in edit tool before applying conversion. Page Turning for Scan is a versatile scanner assistant to convert scanned files to page turning e-publication. Because sometimes the scanned files might not satisfy your need, in order to get a perfect publication, you need to make some transformation on the scanned images. 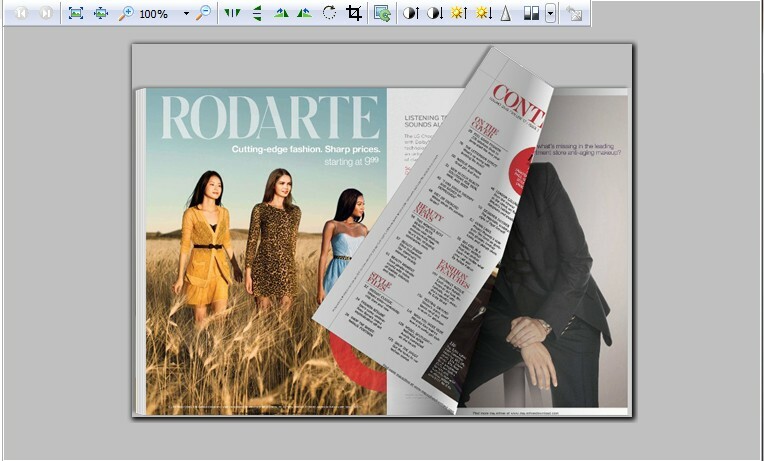 For this purpose, Page Turning for Scan provides image edit functionality for user to modify scanned files. With this function, users are able to rotate, crop image, change image color, modify image effect and so on.